New handguns, rifle line enhancements, and new black SCAR carbine. McLean, VA "Our goal for 2010 is to perfect and enhance the strong products we have in our firearms line and roll out our new line of handguns," said Ken Pfau, FNH USA vice president for law enforcement and commercial sales." The FNP-45 Tactical offers the standard FNP-45 ACP performance plus a host of unique features. 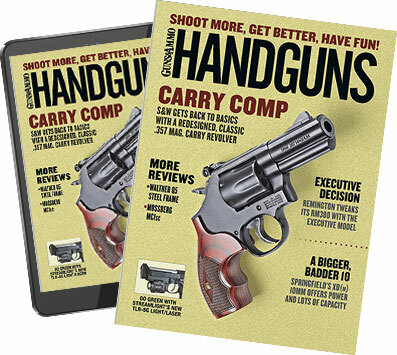 The new FNX 9 and FNX 40 pistols offer the key features demanded by today's serious handgunner. New ergonomic polymer frames have a low bore axis for flat shooting and less felt recoil resulting in improved control. Deep checkered grip panels are comfortable and designed for no-slip shooting. Four interchangeable backstrap inserts quickly offer a custom fit and feel. The profiled stainless steel slide has cocking serrations front and rear, a 4" hammer-forged stainless barrel delivers long life and pinpoint accuracy. Fully ambidextrous operating controls make the FNX perfect for competition and personal defense for both right and left-handed shooters. Each FNX comes with both a decocker and manual safety making it one of the safest hammer guns on the market. Every part is proudly made in the USA. Originally developed for the U.S. Joint Combat Pistol Program and intended for field operations, the FNP-45 Tactical offers the standard FNP-45 ACP performance plus a host of unique features. The 5.3" stainless steel barrel has a threaded muzzle to accept a sound suppressor or compensator. The new FDE stainless steel slide is fitted with high-profile combat night sights and includes two mounting bases to accept an optional red dot electronic sight. Each FNP-45 Tactical comes with three 15-round magazines and an exclusive Eagle tactical soft case. The Five-SeveN pistol now comes with the option of adjustable target sights or fixed three-dot sights. The innovative, single action, auto loading Five-SeveN pistol now comes with the option of adjustable target sights or fixed three-dot sights. It is available in olive drab green, matte black or flat dark earth finishes. It fires the low recoil 5.7x82mm cartridge â€“ recently approved by the NRA Law Enforcement Activities Division for use in its Tactical Police Competition -- and features a textured, ergonomic polymer frame with checkered panels for a secure grip. The polymer slide cover helps reduce weight and the operating controls are placed for easy access with a reversible magazine release and ambidextrous manual safety levers. The barrel is hammer forged and chrome lined for long service life. The SCAR 16S â€“ the semi-auto version of the U.S. Special Operations Command's newest service rifle -- is now available in matte black with all the same features as the flat dark earth model and can be purchased with 10 or 30-round magazines. Released for 2010 is the highly anticipated SCAR 17S now available for civilian purchase. Chambered in 7.62x51mm NATO (308 Win.) and slightly heavier than the SCAR 16S, this unique carbine offers long-range accuracy, exceptional reliability and match winning versatility. Both SCARs have fully ambidextrous operating controls, a free floating, cold hammer-forged Mil-SPEC barrel with hard-chromed bore; a receiver-integrated MIL-STD 1913 optical rail plus three accessory rails for mounting scopes, electronic sights, lights, or lasers. The side-folding polymer stock is fully adjustable for comb height and has six settings for length of pull. The SCAR also features a tactically advantageous reciprocating charging handle for quick ammo and magazine failure response. The SCAR 16S is now available in matte black. The FNAR is now available with 16" cold hammer forged MIL-SPEC fluted barrel with a hard-chromed bore and target crown barrel. This extremely accurate semi-automatic rifle has an ambidextrous magazine release button that drops the detachable 20, 10 or 5 round steel box magazine (DBM). A one-piece receiver mounted MIL-STD 1913 optical rail comes standard for unlimited optics choices and also features three rails on the stock's fore-end for mounting tactical lights or lasers. FNH USA is also providing several new accessories for 2010. The first is a deluxe Shooter's Mat. Olive drab color and easy to carry it offers pockets for shooting supplies and accessories. There are two new custom formed carry cases for the PS90 and FS2000. Special foam cut-out sections to securely carry your carbine with an external pocket for magazines and accessories. Also, a new FS2000 Tactical Foregrip enhances the functionality of any FS2000. It easily replaces the current foregrip with a tri-rail MIL-STD 1913 forend for mounting lights, pods, lasers and other accessories.